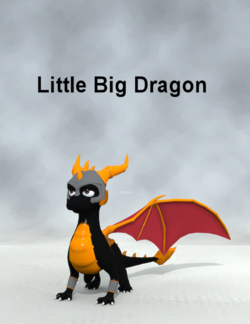 LittleBigDragon is a figure of a fantasy creature of the Spyro games created by -Eduard-. Zip contains an animation for this Dragon. Also included are the helmet and front leg braces. This page was last edited on 6 October 2018, at 16:21.